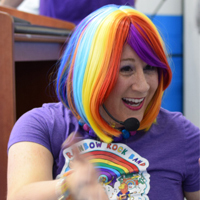 Move, groove and have fun with the Rainbow Rock Band. Cosponsored by the Friends of the Herndon Fortnightly Library. All ages.